A presentation of Norges Naturvernforbund’s international project activity in 2010. Our activity in 2010 covered environmental, educational, energy and climate projects in 20 countries, most of which in the Commonwealth of Independent States, but also several African countries. A presentation of Norges Naturvernforbund’s international project activity in 2009. Our activity in 2009 covered environmental, educational, energy and climate projects in 20 countries, most of which in the Commonwealth of Independent States, but also several African countries. 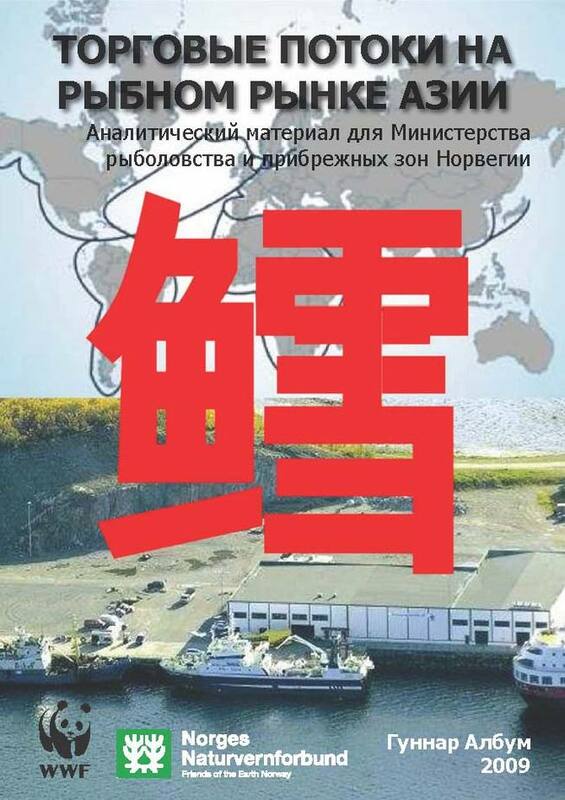 This report shows that there still are illegal landings of cod and haddock coming out of the Barents Sea. 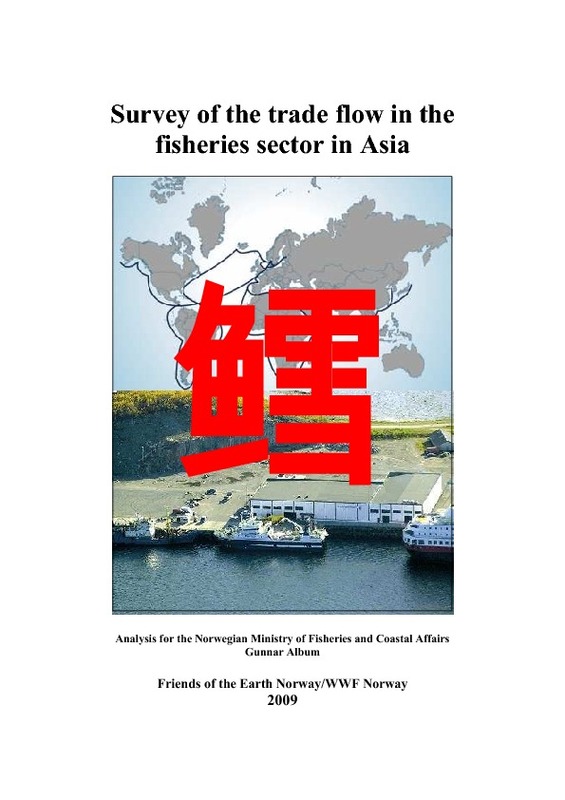 The theft of fish in the volumes estimated by the Directorate of Fisheries is among the most serious economic crimes in Norway. 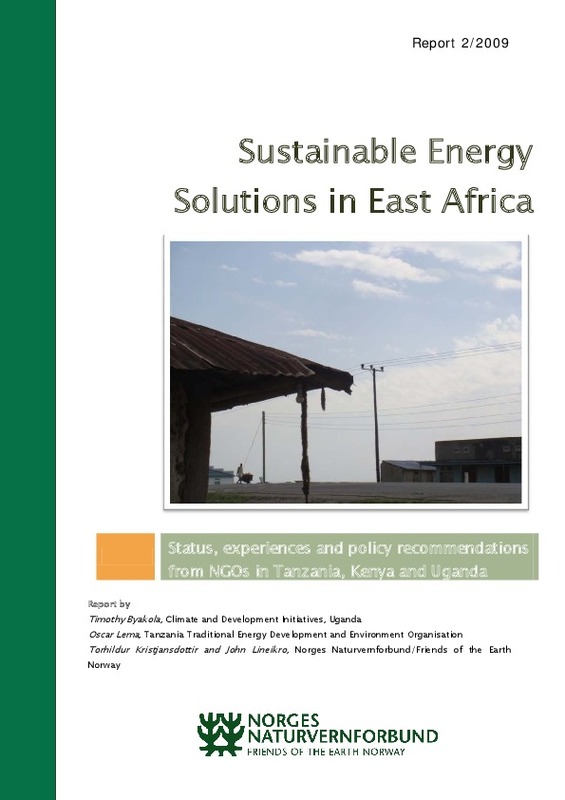 This report looks at barriers to improved energy efficiency and to increasing use of renewable energy for households and small businesses in developing countries. 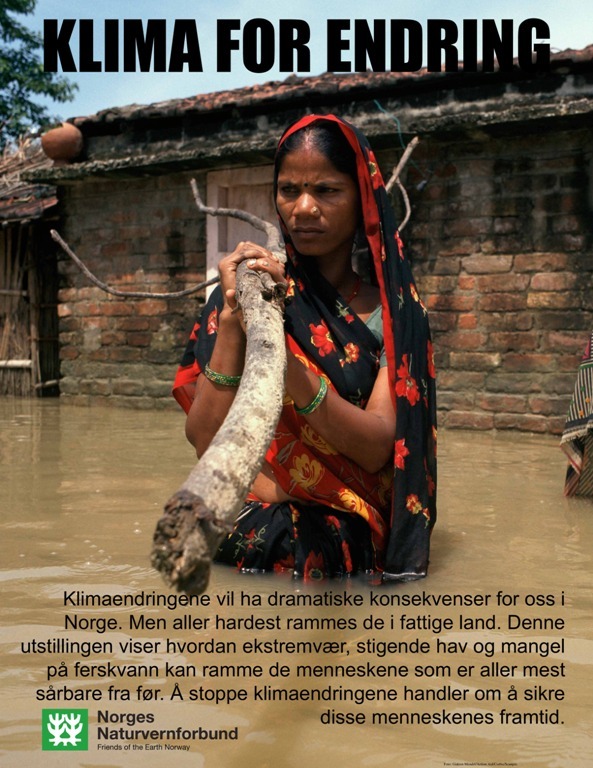 Klimaendringene vil ha dramatiske konsekvenser for oss i Norge. Men aller hardest rammes de i fattige land. Denne utstillingen viser hvordan ekstremvær, stigende hav og mangel på ferskvann kan ramme de menneskene som er aller mest sårbare fra før. Å stoppe klimaendringene handler om å sikre disse menneskenes framtid. 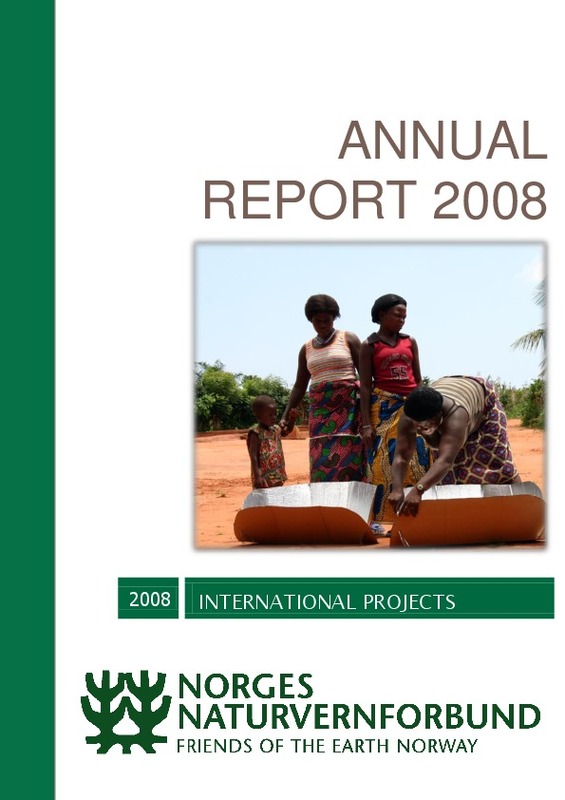 A presentation of Norges Naturvernforbund’s international project activity in 2008. 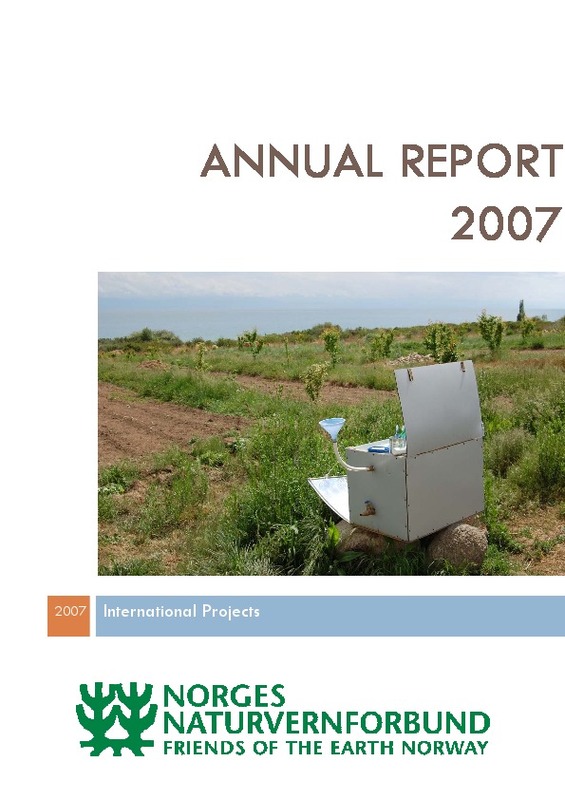 Our activity in 2008 covered environmental, educational, energy and climate projects in 17 countries, most of which in the Commonwealth of Independent States, but also in several African countries. 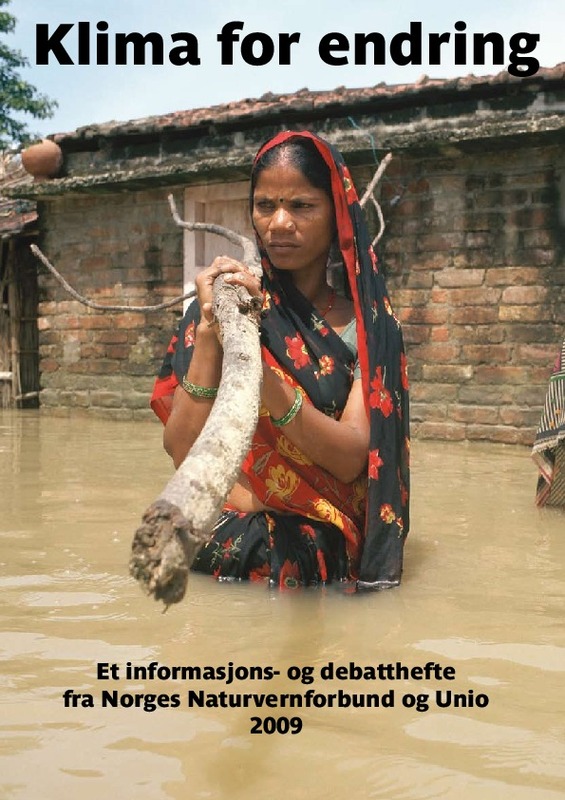 Et informasjons- og debatthefte fra Norges Naturvernforbund og Unio om klimaendringene. Klimaendringene er farlige, urettferdige og allerede i gang. Menneskeskapte utslipp av klimagasser påvirker jordas klima, og gir en global temperaturstigning som er raskere enn naturlig. Dette har dramatiske konsekvenser, og kan true livsgrunnlag og økosystemer over hele verden. among the most serious economic crimes in Norway. 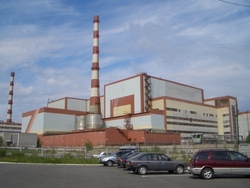 Funded and requested by Norges Naturvernforbund, this report aims to get a better understanding of Belarus's future challanges in terms of energy supply, and why nuclear power will not help to solve these. 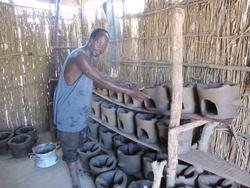 This information report describes small-scale energy conservation projects implemented in 2006-2008 by the environmental organization "The little Earth" with support from the Friends of the Earth Norway. 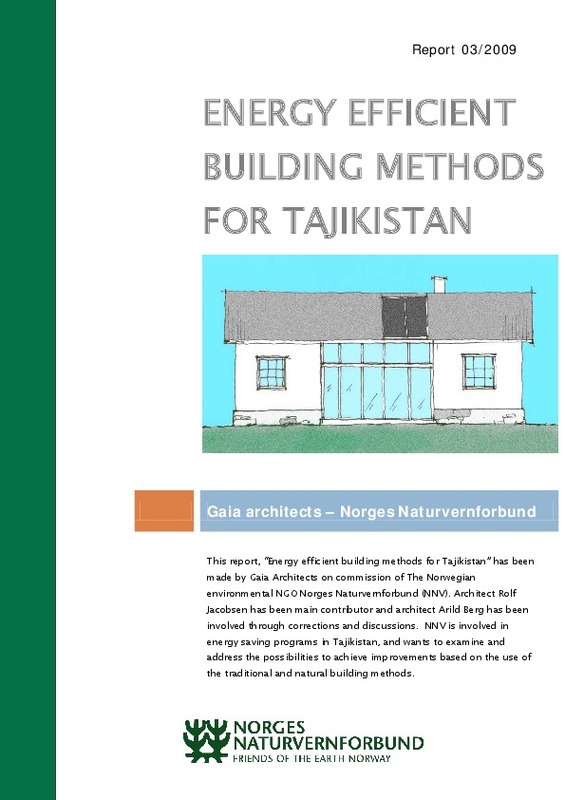 This report, “Energy efficient building methods for Tajikistan” has been made by Gaia Architects on commission by Norges Naturvernforbund (NNV). Architect Rolf Jacobsen has been the main contributor and architect Arild Berg has been involved through corrections and discussions. 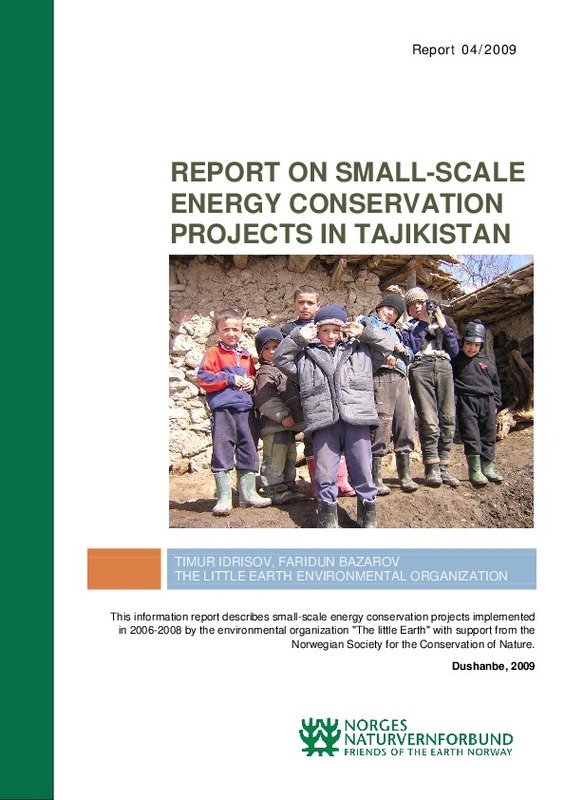 NNV is involved in energy saving programs in Tajikistan, and wants to examine and address the possibilities of achieving improvements based on the use of traditional and natural building methods. Norges Naturvernforbund wanted to hear from local NGOs in Uganda, Kenya and Tanzania what experience they have with energy development projects and get their advice for future action. 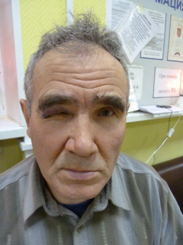 This report is the result of that cooperation. 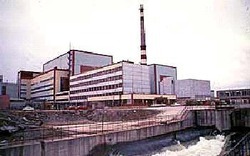 A large number of serious ecological problems of world scale are connected with the production and use of energy. 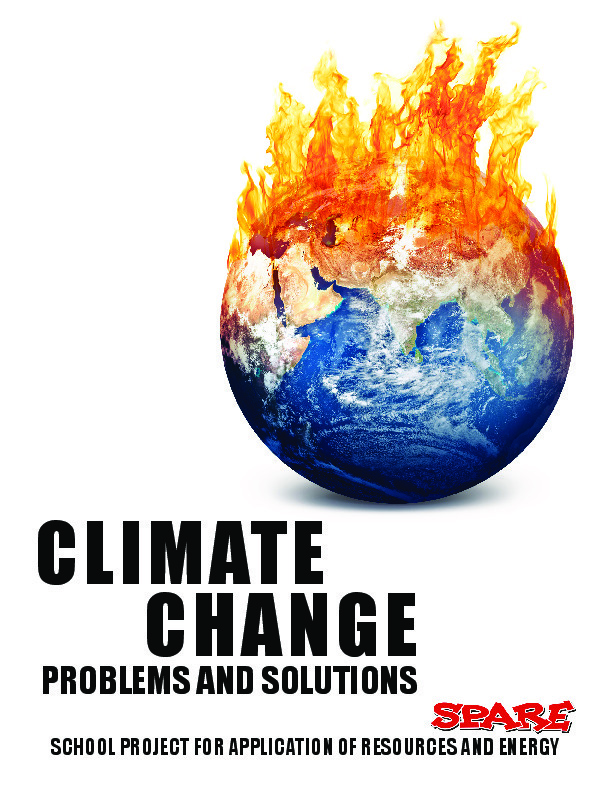 The idea of the SPARE program is to go from a discussion of global problems to practical actions of schoolchildren, to receive an answer to the question: How can we satisfy our need for energy (heating, light, transport) without dangerous and devastating consequences for nature? 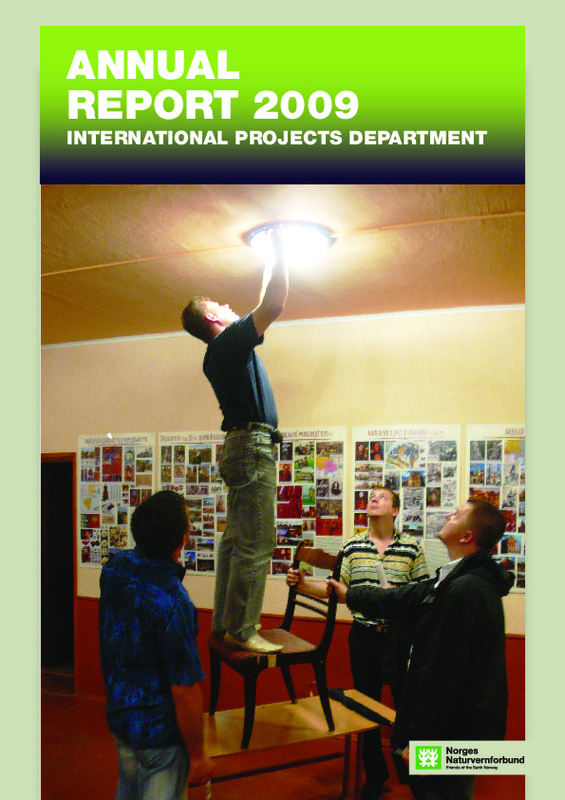 Information about SPARE - International school project on application of resources and energy. 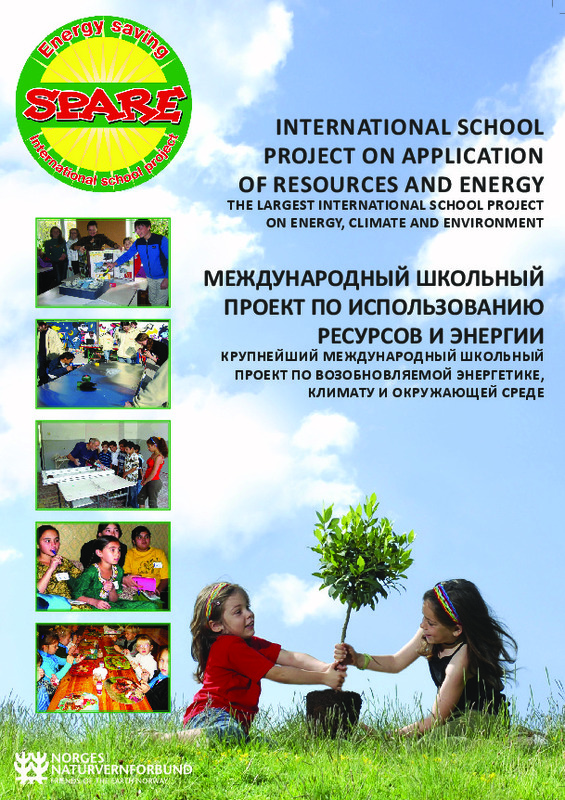 The largest international school project on energy, climate and environment. 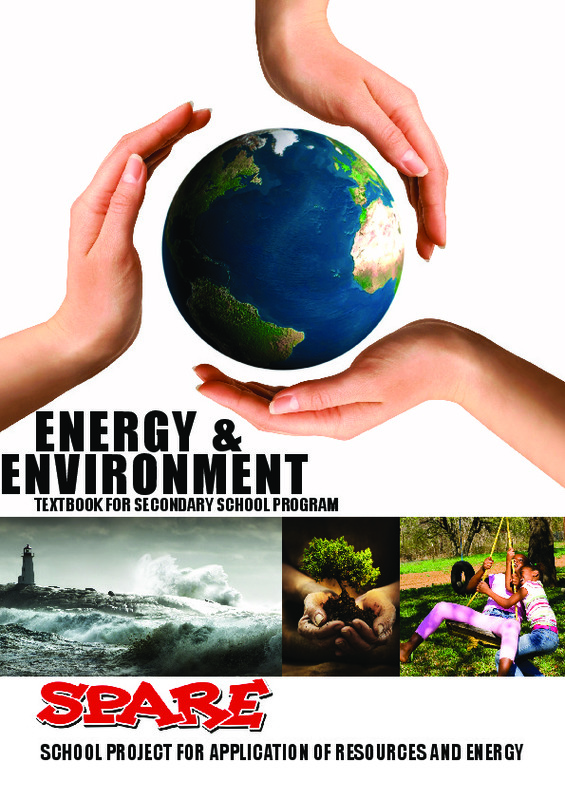 This workbook is part of the international educational program for school children SPARE (School Program for Application of Resources and Energy). 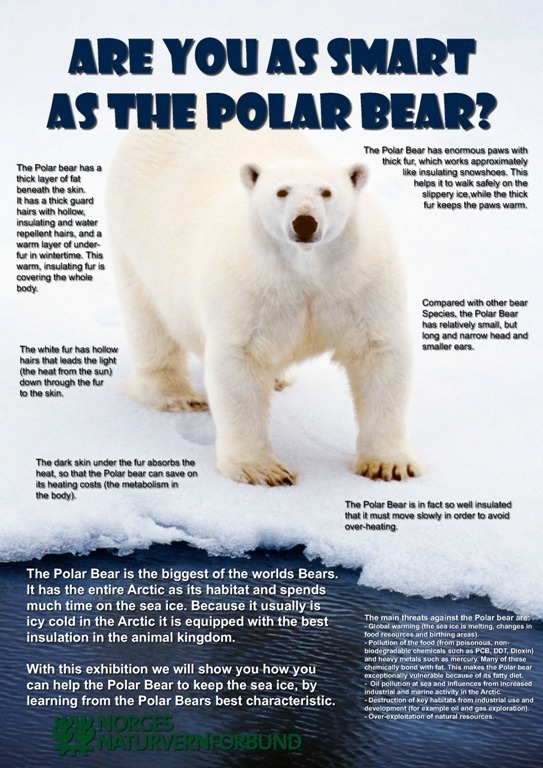 The Polar Bear is the biggest of the worlds Bears. It has the entire Arctic as its habitat and spends much time on the sea ice. 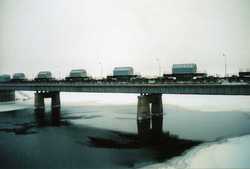 Because it usually is icy cold in the Arctic it is equipped with the best insulation in the animal kingdom. 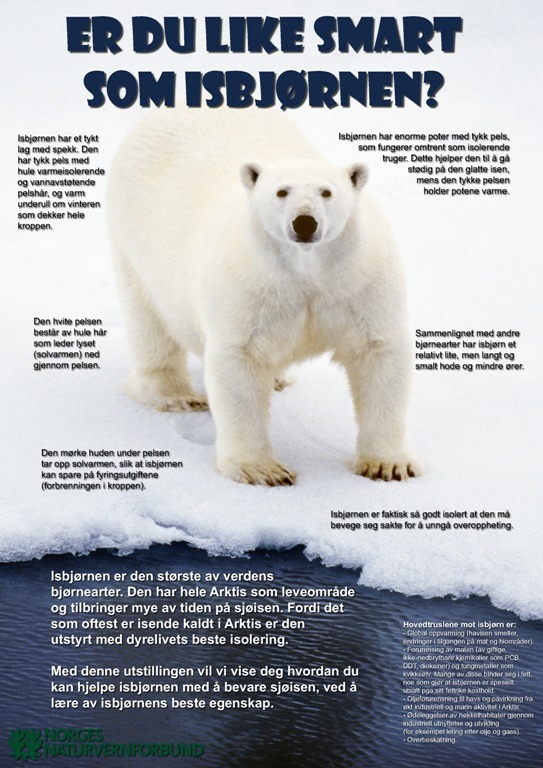 With this exhibition we will show you how you can help the Polar Bear to keep the sea ice, by learning from the Polar Bears best characteristic. Isbjørnen er den største av verdens bjørnearter. Den har hele Arktis som leveområde og tilbringer mye av tiden på sjøisen. Fordi det som oftest er isende kaldt i Arktis er den utstyrt med dyrelivets beste isolering. Med denne utstillingen vil vi vise deg hvordan du kan hjelpe isbjørnen med å bevare sjøisen, ved å lære av isbjørnens beste egenskap. 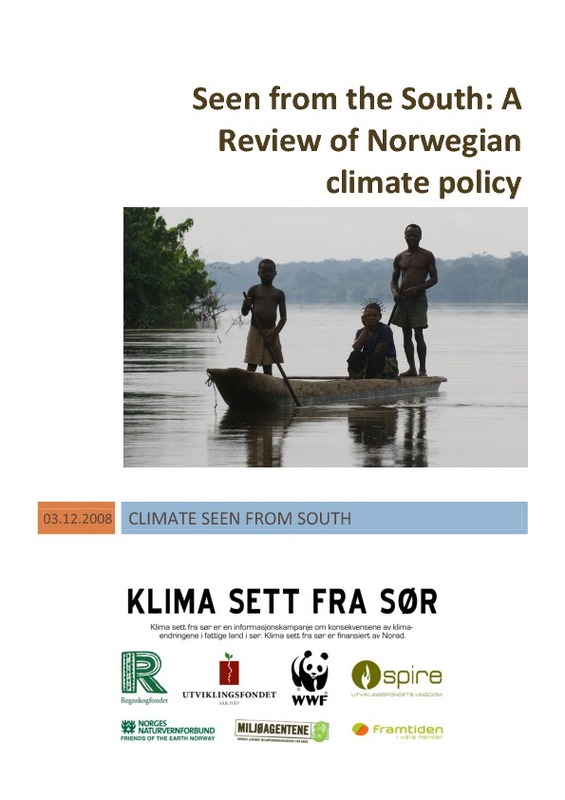 The aim of this report is to help us see the Norwegian climate policy in a global perspective. The rich, industrialised countries historically are responsible for the major share of the green house gas emissions causing climate change, but today’s poor countries will face the most serious impacts. The unjust nature of climate change must be reflected and compensated for in international climate change agreements and in the policies of rich countries. 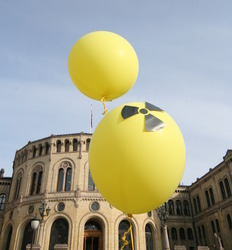 How is this reflected in Norwegian climate policy? 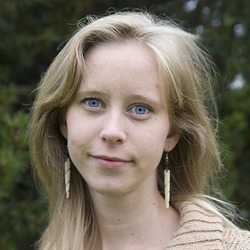 The improvement of living conditions for the poor in developing countries can be combined with combating climate change. 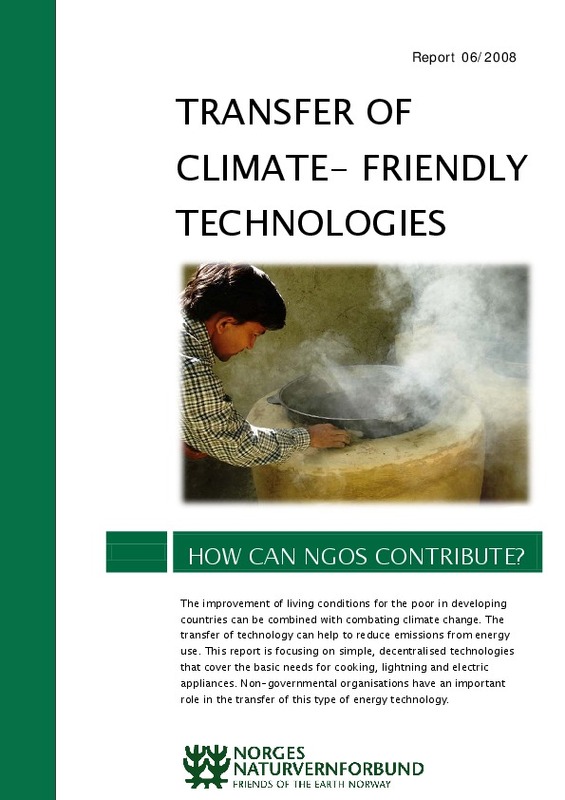 The transfer of technology can help to reduce emissions from energy use. 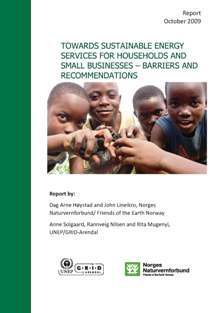 This report is focusing on simple, decentralised technologies that cover the basic needs for cooking, lightning and electric appliances. 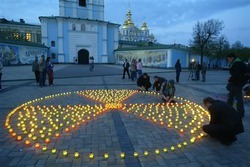 Non-governmental organisations have an important role in the transfer of this type of energy technology. 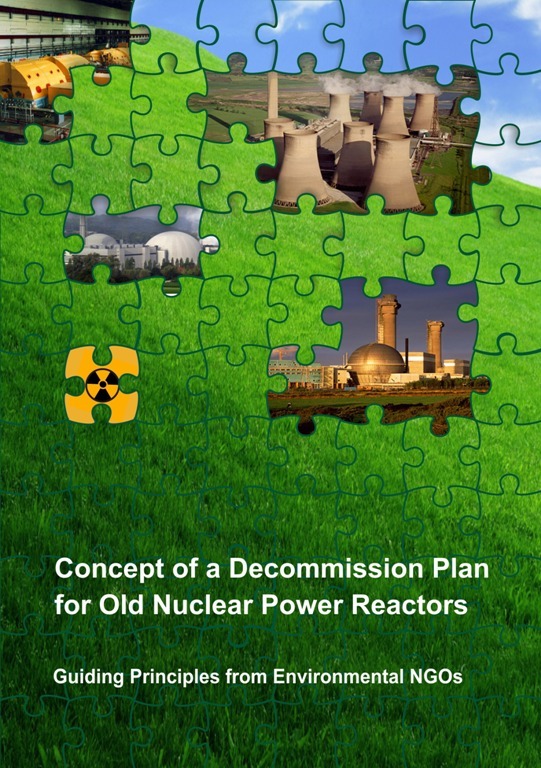 Naturvernforbundet and our project partners have made guiding principles for what a decommissioning plan for old Russian reactors should contain. 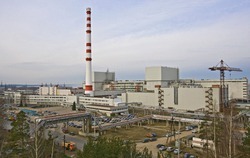 This report is a result from the project “From closed room to openness: involvement of civil society in the future of the nuclear reactors in North West Russia”. 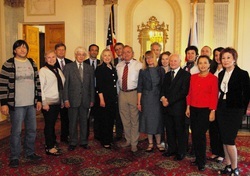 A presentation of Norges Naturvernforbund’s international project activity in 2007. Our activity covered in 2007 projects on environment, education, energy and climate in 16 countries, most of which in Commonwealth of Independent States, but also in several African countries. 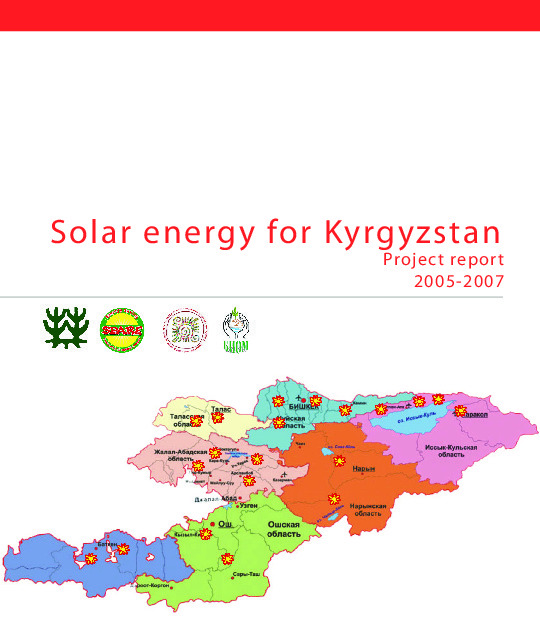 The project ‘Solar energy for Kyrgyzstan!’ on solar energy use in Republic of Kyrgyzstan was implemented by the environmental organisation BIOM from Kyrgyzstan and Norwegian Society for the Conservation of Nature/Friends of the Earth - Norway (Norges Naturvernforbund), with an aim to make this technology of using sunlight for water heating accessible to everyone.